The ink cartridge printer Epson Ecotank ET-2550 is a consumption miracle. However, not without compromises, as the test shows. The Epson Ecotank ET-2550 represents the second generation of ink multifunctional printers with tanks instead of cartridges. As with the first litter, we at that time by the example of Epson L555 Ecotank have tested the ink tank sitting side of the housing. When they look like a floating foreign body on the L555, the new ink container forms a unit with the actual combination housing. This gives the Ecotank ET-2550 a more homogenous design. At the same time, you do not have to lift the ink station to fill it, as was the case with the predecessor. Another new feature is that the ink supply can be closed. For this purpose has Epson an eyelet attached to the ink tank, through which a wire or narrow padlock can be drawn to protect the tank from unwanted access. Epson continues to pursue its strategy of bringing the price to an unbeatable low level with the Ecotank ET-2550. This succeeds all along the line. At the same time, this model leaves a number of questions open: for an all-round comb for the home, it lacks edge printing at least. Here, a larger touch display would be desirable. At the same time, the equipment is not one hundred percent coherent for office use. Because a combineret with so cheap side prices is a lot, if a lot is to be printed and copied. However, he lacks an automatic duplex unit to save paper. The installation of the Epson Ecotank ET-2550 is simple: the containers come with the four inks. In the first step we fill the tanks. Disposable gloves and an absorbent pad under the printer are recommended to avoid damage should an ink splash. Both are unfortunately not included. Then we switch the device on and initiate the filling process of the lines. It takes about 20 minutes. Epson promises that the supplied ink covers the need for around two years. In the Nachkauf cost the bottles currently about 10 euros per color. This results in 0.3 cents for the black and 0.5 cents for the colored sheet incredibly favorable side prices. 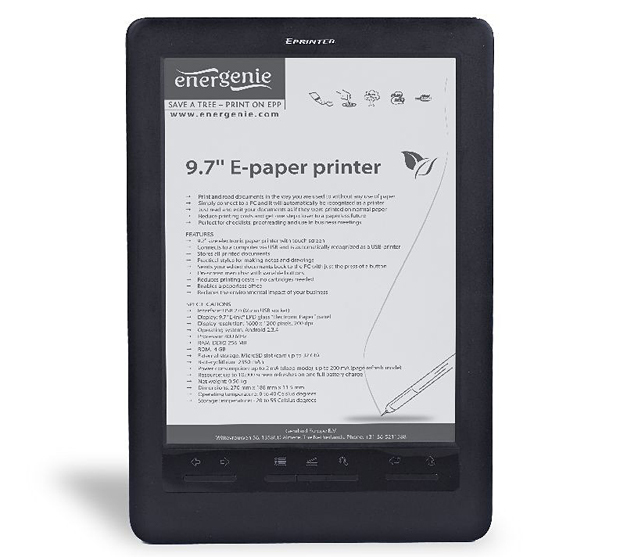 At prices under one cent is currently not a cartridge system – even with XL range does not. At the same time, the Epson Ecotank ET-2550 also remains unobtrusive in power consumption. The meter shows 1.8 watts in quiescent mode – with or without WLAN. Switched off, the multifunctional printer separates completely from the power supply. In the test, this works even if we do not use the combi printer for longer. However, it does not turn back automatically when a new print job arrives. We do not notice much difference to the predecessors in the print and scan units. Once again, the Epson Ecotank ET-2550 combines the use of dye inks to cover text with proper coverage, but slightly rough character margins. We like the color prints better on normal paper than on photographic media. Because our test photos have a visual reddish, which is less noticeable when printing tables and color areas on plain paper. The test cans again show strong reds in color analysis. In the visual test they prove to be not really disturbing. At the same time convincing the sharpness of the scans – also in the depth. The copies correspond in size to the originals – this is praiseworthy. However, they would have tolerated a tad more ink coverage, especially in gray scale. In the Tempotests, the Epson Ecotank ET-2550 delivers a mixed performance: On the one hand, the multi-function printer prints 10 pages of grayscale letters in just over a minute, achieving an orderly, average value. On the other hand we are waiting for ten colored pages from Acrobat almost five minutes – show a comparatively long time. The scans are also waiting. This already shows the preview, which takes ten seconds as long as digitizing a monochrome page. In the test of the previous model Ecotank L555 we had complained that the device with Apple AirPrint and Google Cloud Print can not handle. Here, Epson has improved and the mobile printing standards integrated with the Ecotank ET-2550. However, duplex printing trailers must continue to be content with the manual version. Of connections to find USB and Wi-Fi on the device. At the same time it controls Wi-Fi Direct. The paper tray holds a maximum of 100 sheets and feeds the media from the top into the machine. This does not have to be a disadvantage. The color display is small and graphically rudimentary. The operation succeeded nevertheless clear, even if Touch is not provided. The fact that the combi printer does not include a fax function, we can get drunk. That he can not print borderless, is disappointing.